The Miracles of Autumn 2 Hunt has started. MOA2 Hunt is a 1L$ paid hunt. 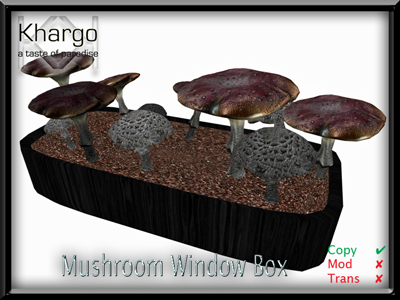 Our prize this time is a Mushroom Windowbox / Planter. 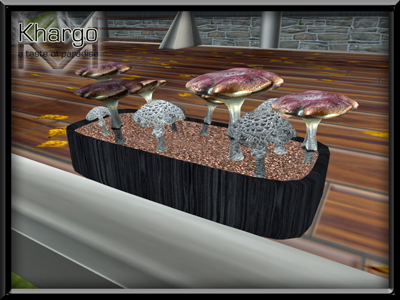 or place it on your deck for that autumnal feel. 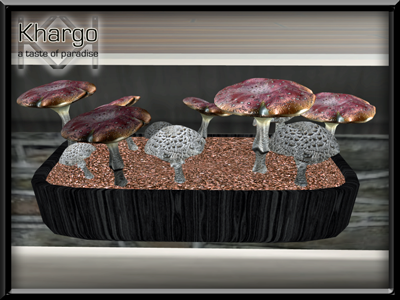 Search for the pinecone at Khargo. Follow the hunt trail inside the store and check the hint giver in store for a clue. You can find all the hints at the Fire Beach Blog.